The term "Bollywood" originally referred to the Bombay (now known as Mumbai) Hindi language film industry. Although there are a number of other studios that produce films in other languages, more recently the definition has been expanded in the West to describe pretty much all films produced on the sub-continent. But where in most countries a film's soundtrack would merely be used as a promotional tool for the film, in India, film music has become an industry unto itself with playback singers and dance numbers. The music is just as important as the film and lives on long after the film has left the theaters. 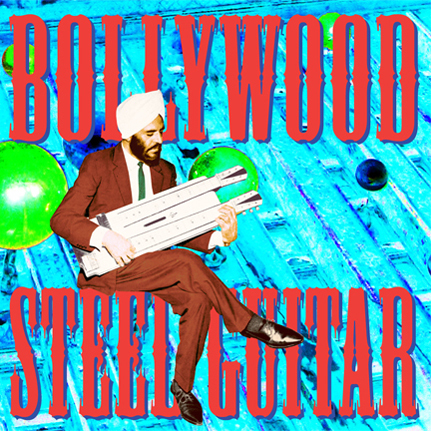 These songs are, for the most part, the pop music of India. As with most popular music, other artists sometimes recorded cover versions of these songs. Of these musicians, a small number specialized in instrumental arrangements and created what could be called the elevator music of India. While there were a few who used the harmonium or mouth organ, the most popular instrument used in these instrumental favorites was the steel guitar.